Knob Creek Metal Arts have created SO many amazing bookends that you’ll have a tough time picking your favorite. They have words and designs that will accentuate the types of books you most like to read. 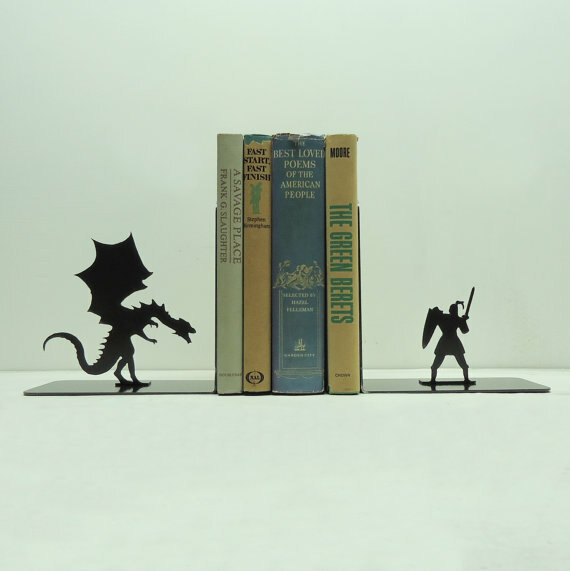 I’m loving this dragon and knight set–it would be perfect to hold all of our D&D books! Bookends, $40-45 per set, available at Etsy.